The Forex market emerged from a changing global financial landscape, and it continues to change and adapt within that same volatile landscape. As it continues to develop, it is bound to demonstrate the same traits and reactions that have characterized it to this point. Knowing that the Forex can be predictably fickle, we have recognized the importance of learning about the genesis and growth of the Forex market so that we can better understand why it behaves the way it does today and how it is going to behave in the future. You have to understand the market before you can profit from it. You must realize that we are not referring to a stale chronology of key events and dates that mark various changes in the Forex market when we talk about its genesis and growth. We couldn't care less about specific dates and locations. We don't want to know when things changed. We want to understand why they changed. The dates aren't going to move ahead in time and affect tomorrow's market, but the same forces that shaped the history of the Forex market are bound to shape its future. Many of the economic forces that shaped the Forex market took time to develop, and they played themselves out slowly over a number of years. Only those who were not paying attention can claim that any of these forces snuck up on them unawares. Other economic forces play themselves out every day and shape the news we hear and the immediate profits and losses we stew over. 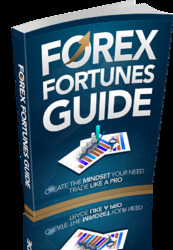 You only have to do one thing to be profitable in the Forex market. Well, maybe two things. First, you have to accept the fact that history repeats itself—often with a new twist, but it repeats itself nonetheless. Second, you have to act on your knowledge of the past. Don't worry. We're going to get to the specifics of implementation a little later in the book, but you've got to learn a few things first. The Forex market is an impartial observer of political philosophies, social attitudes, and personal prejudices. Because the Forex is borderless and impartial, only two primary drivers motivate major market participants: risk reduction and profits. 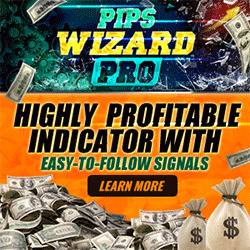 In other words, the Forex gives you the tremendous ability to sift through all the noise and misinformation in the global community and find the basic economic factors that are driving the market. We must warn you, however, that as these concepts become clearer, you will find times when you seem to be the only person thinking rationally. Irrational exuberance, to use a phrase coined by Alan Greenspan, former chairman of the Federal Reserve, is a very real part of the national and global marketplace. But if you've learned your lessons from history, you will recognize that all this has happened before, and you will be able to profit from your knowledge in the Forex.